Sculptures in Gardens become Wonderful Abstract Decorations"
"Sculptures in Gardens become Wonderful Abstract Decorations"
I love it when people put abstract sculptures in gardens. 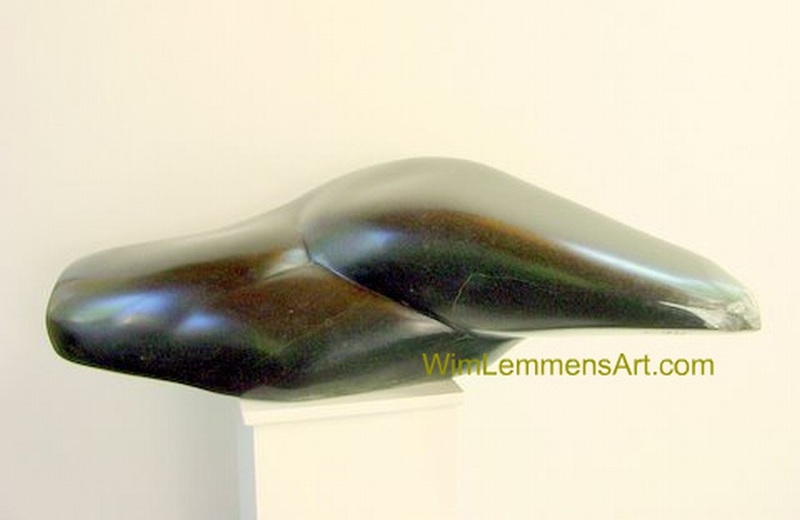 Abstract sculptures are a wonderful way to accomplish your abstract garden decorations. 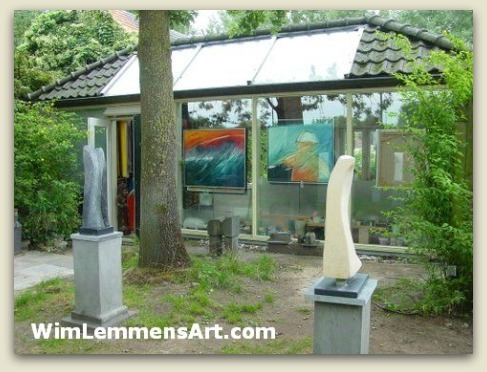 Whatever the season or garden style your have, an abstract sculpture ensures outdoor abstract art enjoyment throughout the year. 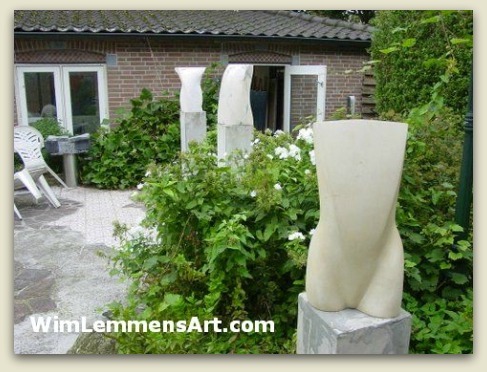 In my own garden I'm fortunate to be able to replace some of my sculptures every season and enjoy how the sunlight reflects on the marble. Even in winter time nature reveals its sunlight tricks. Many wonder about special care when an abstract sculpture in the garden becomes dirty or moss gets attached to your abstract garden decorations. Actually it's whatever you prefer. 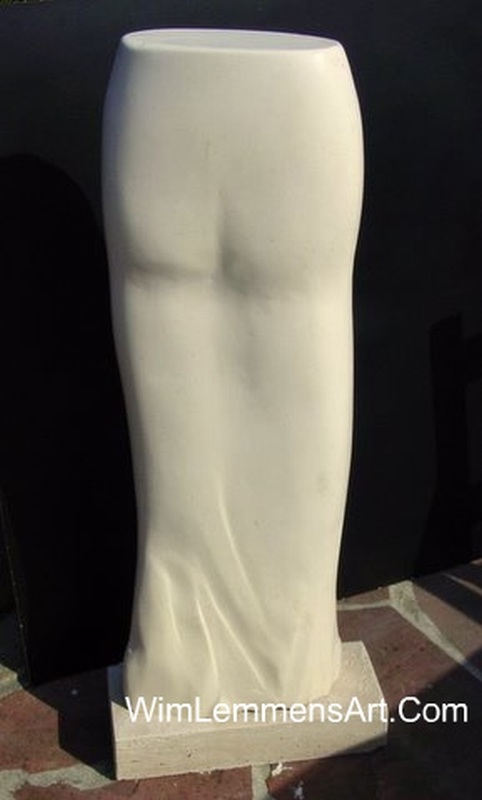 No harm will be done when nature gets a grip on marble or other freestone sculptures. It's even charming sometimes. But as long as no aggressive cleaning solutions are used you'll be safe. You'll be amazed how many positive reactions you'll get from visitors to your garden once your garden sculpture is in place. 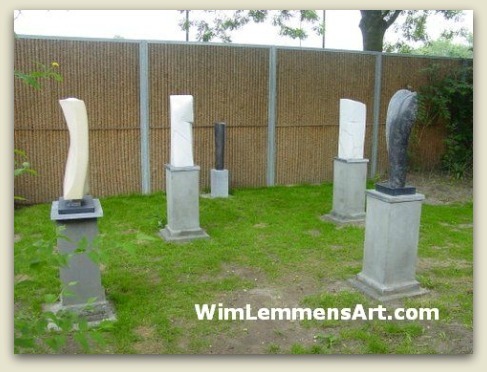 Let's be honest, not that many people actually have a real abstract sculpture in their garden. But once you've convinced yourself people can only agree with you and your choice of abstract sculptures.